Dental anxiety is no joke. We understand how terrified some children can be around medical facilities. Don’t worry. We have intentionally built our practice in a way that can help even the most anxious kids feel calm and relaxed during their visits and treatment. Nitrous Oxide Sedation | Nitrous oxide sedation is a simple sedation method that will make your young one feel calm. During their visit, before the appointment starts, your child will be given nitrous oxide gas to breathe through a special rubber mask. Nitrous oxide is easy to administer, completely safe, and it wears off faster than the other sedation dentistry methods. Oral Conscious Sedation | For the children who experience a little bit more stress, we offer another simple and proven sedation method called oral conscious sedation. Before your child’s appointment, we will give the child a small tablet to take that will help them feel relaxed. 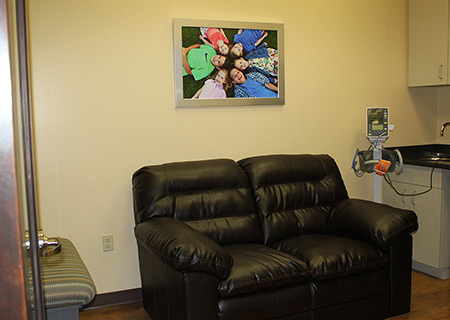 It takes about an hour to fully kick in, so we have a great little relaxation room your child can hang out and watch movies in until they are ready for treatment. IV Sedation | Sometimes, a little patient may just need to be completely sedated during a visit. We offer IV sedation that will completely relax your little guy or gal to the point where they fall asleep. IV sedation is sometimes referred to as sleep dentistry and is amazingly effective at helping anxious patients to have no problem making it through their treatment. New things can be scary, so we try to make our practice as safe and comforting as possible for our little patients. Our relaxation room is a small sanctuary for our patients who receive sedation so they can feel completely calm and comfortable as they get ready for their treatment. 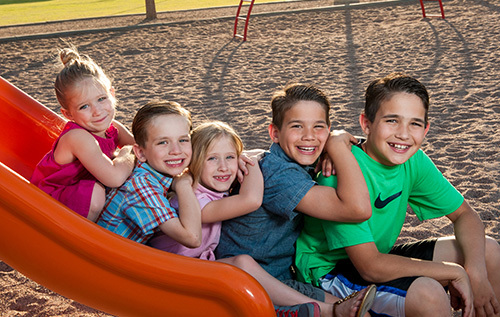 If you feel like your child or children might be anxious at the dentist, you will LOVE how well we can address that concern and turn what might be a terrifying experience somewhere else into a fun, enjoyable experience. Call and schedule a visit today!